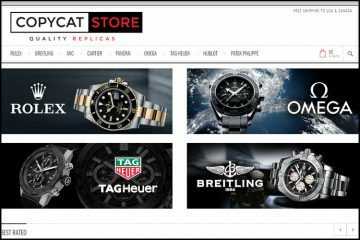 First thing you notice about Mega Watch store is elegant, low key design with numerous brands in its left menu and most famous replica collections like Rolex, Omega, Cartier and Chopard, are featured in the middle boxes. In the blog section you can read about newest additions to their catalog like Everose Yachtmaster model nr 116655 and Omega Fly To The Moon And Back watch. Let’s start from the obvious – their replica photos are stunning! 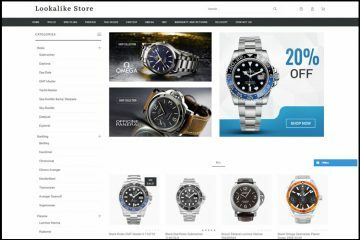 I browsed through many categories and couldn’t find even one image from authentic watches catalog. Some other sellers use catalogue pictures for front images and the worst dealers use only genuine pics. Moving on to return policy, Mega Watch “guarantee the complete satisfaction of each and every customer “, so no big surprises there. I’ve never saw an online store promising anything less than that. What is surprising, is the fact that right off the bat, on the return policy page they promise exchange or FULL refund. Believe me, I read many policy pages of other sellers and saw pages full of words, sometimes thousands of words, but none of those mentioned phrase “full refund”. It’s nice to know that this store guarantees that you can get your money back. You have 30 days from receipt date to return the order back to Megawatch.cn for replacement or, as I mentioned, full refund. There is no restocking fee whatsoever, which is another advantage of this online shop. There are multiple payment methods you can use to pay for your order: Instant Banking , Credit cards, Bank transfer, Bitcoin, Western Union, MoneyGram or Interac. I never heard about the last one, but rest of the methods are pretty common. Instant Banking grants you 15% discount. If you choose Western Union, Bank Transfer, Bitcoin or MoneyGram, you get 10% off the amount of your order. There is no discount if you pay by credit card, probably because in this case, transaction fees are paid by the seller. We offer a 10% discount if you order more than one item. We offer a 20% discount if your order reaches $600 or more (This discount offer does not apply to our Swiss watches). Shipping conditions are pretty standard: 7-10 days delivery by express courier. Customer support is one of the fields Mega Watch really stands out in from of competition. They offer Email, Live chat and phone support. I called their phone number available Monday to Saturday, 8:00AM — Midnight (EST) and a nice lady answered my questions in fluent English. Their Live chat is working and responsive, unlike most of other online store where you can find Live chat banner, but it’s always offline. I submitted not very positive review to one of their products and it wasn’t published. Maybe they saw that email address I used doesn’t match any customer who ordered that item or they just don’t publish negative reviews from customers. Prices for Panerai and Tag Heuer Replica watches are 10-20% above market average. 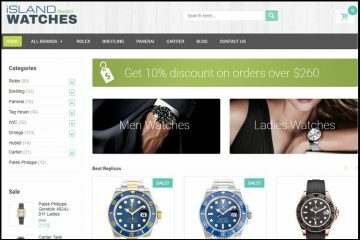 Testimonials page is empty, although this store is online since 2013. 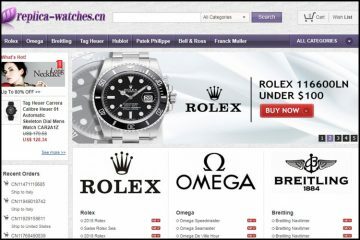 All in all, I think Megawatch.cn is a great store with fair return and refund policies, extensive customer support via phone, chat and email. I will update this post with pictures of the watches I’ve bought from them. Got my white daytona in exactly 8 days. Top notch knockoff! Megawatch is a good place to get replicas. 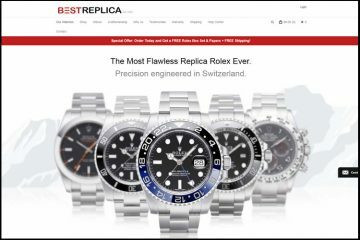 I’ve already purchased 2 Rolex knockoffs last year and had no issues whatsoever. Recently I bought Panerai Marina imitation from this store. Came in 10 days as expected. Hi there! I’m interested in using this site but curious if I’ll get in trouble? Frank, Joshua, Tim – any chance you’d private message/email me? Thanks! Has anyone ever bought the $600+ swiss models? 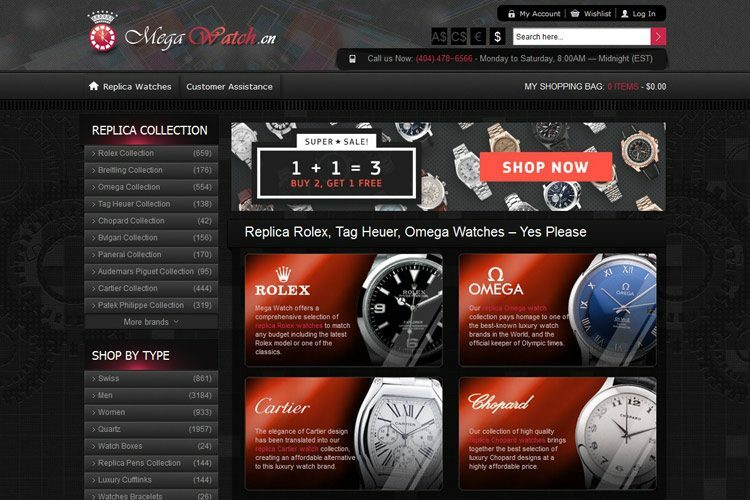 How can I access to mega watch ? I think this site was closed.